I feel the same way about foam cups as I do about paper plates. 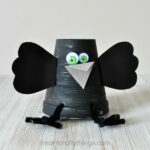 You can pretty much make any kind of animal you can think of out of them. 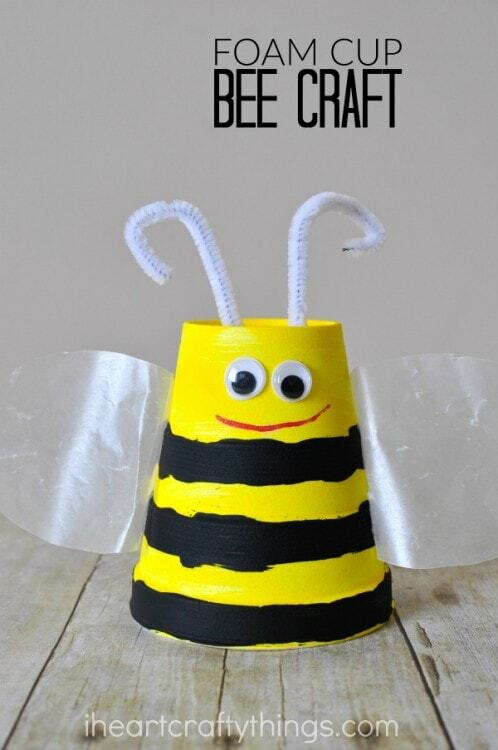 Our collection of foam cup crafts keeps growing and our latest is this super cute foam cup bee craft. 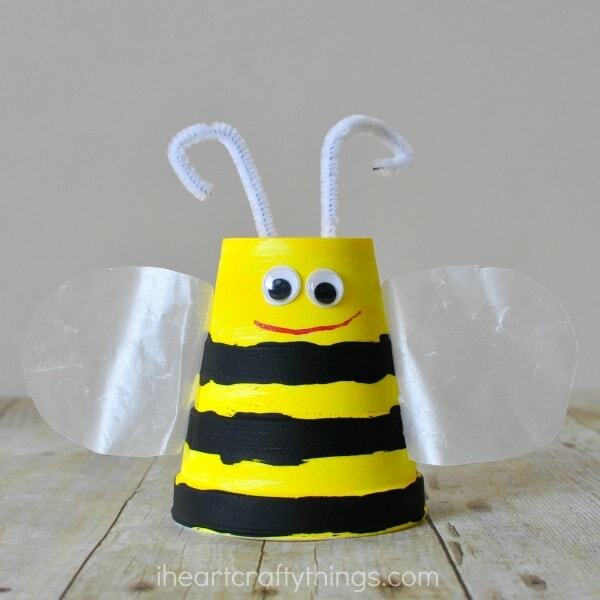 It makes a perfect kids craft for spring or summer time or when learning all about bees. 1. Start by painting the outside of your foam cup with your yellow paint. 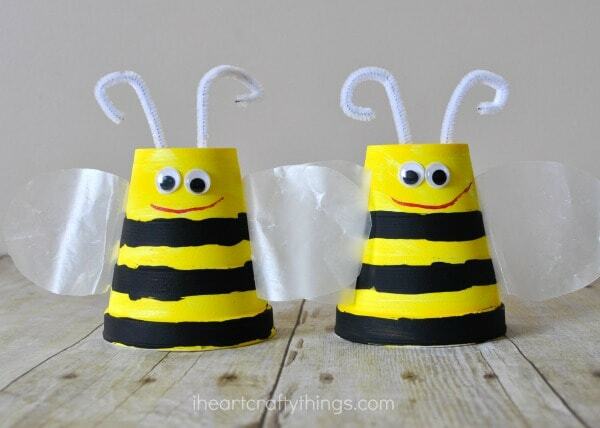 Let it dry then use your black paint to paint black stripes on your bee. Our cups had little ridges on it and we just painted all of the ridges black. Let the paint dry completely. 2. 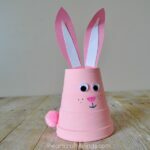 Glue your googly eyes onto your foam cup and draw a smile with your pink marker. 3. 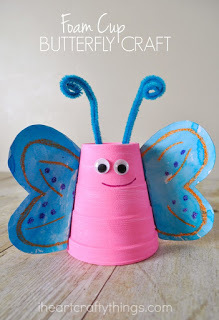 Cut bee wings out of your wax paper and glue them onto the sides of your foam cup. 4. 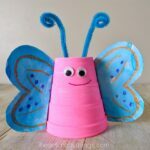 Finish your foam cup bee craft by cutting your white pipe cleaner in have, curl one end on each piece and poke them down into your foam cup to make antennae.